Inspect the belt for cracks or damage. If the belt is cracked or damaged, replace it. 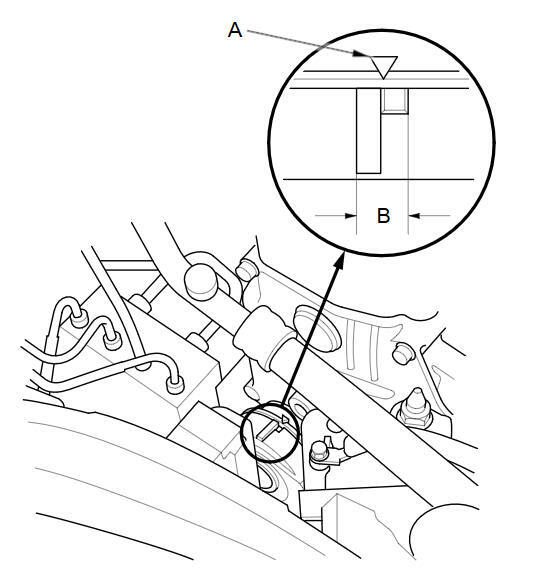 Check that the position of the auto-tensioner indicator (A) is within the standard range (B) as shown. If it is out of the standard range, replace the drive belt.